HOUSTON — Canada Pension Plan Investment Board has reached an agreement to acquire Parkway Inc., one of the largest property owners in Houston $1.2 billion, or $23.05 per share. The transaction is expected to close in the fourth quarter of 2017. 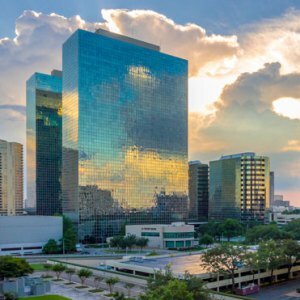 Parkway owns an office portfolio of 8.7 million square feet, including the 1.3 million SF Post Oak Central, the 627,000-SF Phoenix Tower in Houston, the 980,000-SF San Felipe Plaza and the 1.5 million SF CityWest Place in Westchase. Parkway also owns a 51 percent stake in the 4.4 million-SF Greenway Plaza. Earlier this year, Parkway sold a 49 percent stake in Greenway and Phoenix Tower to three institutional investors – affiliates of TH Real Estate, Silverpeak Real Estate Partners and Canada Pension Plan Investment Board – purchased the 49 percent stake in Greenway and created a joint venture. Parkway Inc. was created last year as the result of the Cousins Properties buying Parkway Properties. The Houston assets were spun-off into the newly created Parkway Inc., which has a portfolio of only Houston office assets.